Photo by spielzimmer via flickr.com (CC). Eric Devlin over at Home of BBQ interviewed me via email about BBQ and molecular gastronomy. The topic should be of interest to the readers of Khymos as well, so I post the questions and answers in extenso here for your benefit. Q. Martin, thank you for taking the time to discuss the science of BBQ. Before we get into “˜low and slow’ cooking, can you tell us a bit about your background and your interest in food? I have a PhD in chemistry and currently I’m working as a research scientist. When I first became interested in the connection between food and chemistry in the late 90’s, I searched the Internet without finding much information. I did however find some very interesting books in the faculty library, including Harold McGee’s “On Food and Cooking – The Science and Lore of the Kitchen”. Having found books about the subject, I soon started to give popular science presentations. In 2004 I was invited to attend the “International Workshop on Molecular Gastronomy” in Erice, Sicily. This was a great experience and I enjoyed meeting many of the scientists, writers and chefs involved with molecular gastronomy. The website I’ve put up, Khymos, is in many ways what I would have liked to find at the time I became interested in the subject. Q. Over the past few years we have been hearing quite a bit about how food cooked over a hot flame can have increased carcinogens. Would food that is cooked for a longer period of time over a lower heat be safer? The carcinogens are formed when meat gets burnt, so although you’d like to use high heat to get the Maillard reaction going (which gives you both flavor and color) you don’t want to overdo it. But even if the meat gets a little burnt, it is a good thing that for the carcinogens, as for all other substances, the poison is in the dose. So if you eat grilled meat every day you should be concerned about this, but for most people I think overeating poses a much greater risk! Q. Serious BBQ cooks like to produce a “˜bark’ when preparing pork for their pulled pork dishes. Usually the natural “˜bark’ of the meat is enhanced by the sugar found in the dry rubs that are applied. Is there any other method that could be used to achieve or increase those results? Maybe an egg wash prior to cooking? There are several processes which contribute to the flavor formation. First you have the sugars which caramelize. As you correctly state, this is enhanced by adding sugar to the rubs. Furthermore you have the Maillard reaction were sugars react with amino acids to form a host of compounds which contribute both flavor and color. Even though the Maillard reaction can take place at low temperature (such as in vintage champagne), things really speed up when temperature rises above 110-120 °C. Obviously to reach this temperature you’ll have to get rid of the water first. So using a dry rub makes sense. Apart from that it’s mostly about being patient. Use fresh spices, and where possible whole spices that you ground prior to use. The heat of the grill will toast the spices, thereby intensifying the flavor even more. I must admit that I have never made nor tasted meat which was prepared with a “bark”, so I don’t dare to go into further details concerning how to improve it. The best thing would be to cook two pieces of meat in parallel, for instance with and without an egg wash to see which one comes out best. Q. BBQ sauces vary greatly depending on region. Carolina sauces are often thin, while Kansas City and Texas sauces have greater viscosity. 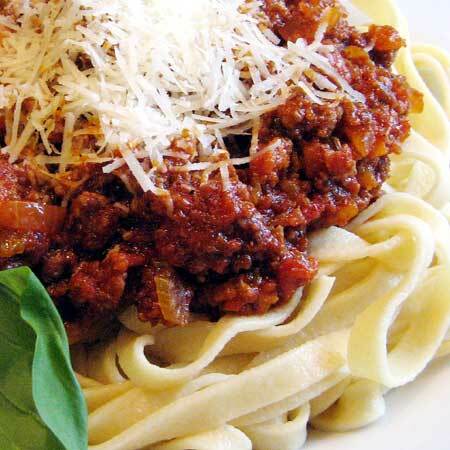 If a cook is making a sauce that comes out too thin, what recommendations would you have to thicken it? You either have to take out some of the water by letting it boil over low heat in a large, wide pot, or you can add a thickening agent such as corn starch. If you use onions, these will help thicken your sauce if you let it boil for a while. Q. In competitions, some BBQ pit-masters utilize a flavor enhancer called FAB B, which contains msg. The thought behind this additive is that after a judge has consumed numerous samples of the same category of meat, the additive will stimulate the taste buds and help to separate that entry from the rest. Can you recommend any other method of “˜waking the taste buds’ without detracting from the taste? The problem with this explanation is that if everyone uses FAB, will there be any effect at all? If the idea is to rinse the mouth you would want something acidic which stimulates saliva production, some tannic compounds to bind proteins and perhaps some alcohol to help solubilize fats. Heston Blumentahl at the Fat Duck made a “Green tea sour mousse” from these guidelines. But even so adaption and habituation occurs in all tasting. I’ve discussed this extensively in a blog post, and the easy answer is variation. Or more scientifically: increased sensing by contrast amplification. Eat something which is as far from meat as you can come, something which is cold, crisp, fresh and acidic (did someone mention a tasty salad?). This will make the next piece of meat taste much better! Q. FAB contains the following: Hydrolyzed soy protein, vegetable oil (soybean and or corn, cottonseed), sodium phosphates, mono sodium glutamate, autolyzed yeast extract, disodium inosinate and guanylate, xanthan gum. They claim that it enhances natural meat flavors, makes your BBQ juicier, improves texture for better slicing and taste and increases yields. Would you believe that these claims are accurate? Would you recommend other methods to achieve the same results? I would like to emphasize that MSG’s bad reputation is somewhat undeserved. 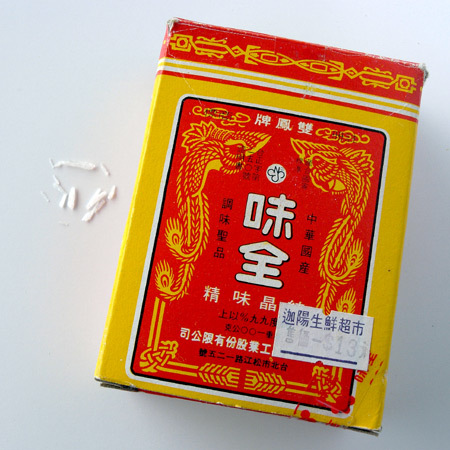 MSG is the salt of a naturally occurring amino acids and is found in many foods. Parmesan and tomatoes contain lots of it (ever wondered why the Italians sprinkle so much parmesan on their food?). Protein and yeast are excellent sources for MSG and the related compounds listed, so I absolutely believe the claim that FAB will enhance the meaty flavors. When FAB is used in a marinade, the phosphates enhance juiciness and improve texture (more on this later). This is well documented. But even so, every chef should remember that FAB or other products can only make good meat better. Therefore you should pay close attention to the quality of the meat you use. Q. What is a smoke ring and how is it created? What is the best method of producing a significant smoke ring? 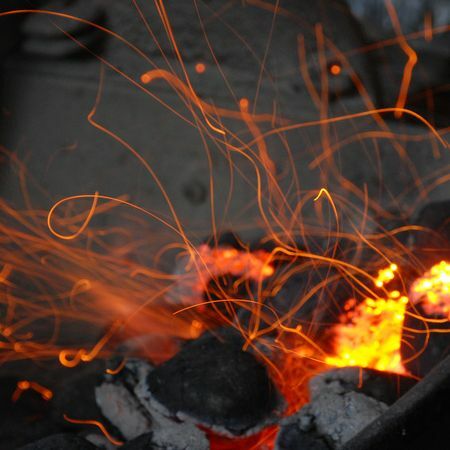 When wood or coal burns, small amounts of nitrogen dioxide is formed which dissolves in the surface of the meat, thereby creating nitrous acid. The acid diffuses further into the meat, and when converted to nitric oxide it reacts with myoglobin to form a stable pink colored molecule. Q. Is there a point of delineating returns, where a piece of meat will no longer absorb the flavor of the wood that it is cooked with? Are you wasting your time by adding more wood for flavor after a certain point? Frankly, I don’t know. I think this question should be answered by a chef! Q. How effective is brining and marinating such as pork shoulder or brisket? How much penetration can you reasonably expect? As competitors often work with a short time frame, is there a way to speed up the results of a marinade? And if alcohol burns off, what’s the advantage of using wine instead of juice? Does the alcohol “do” something before it burns off? Marinades penetrate meat very slowly, so it should primarily be regarded as a way of adding taste to the surface of the meat (which it does very well). An exception here is chicken and fish which are more easily penetrated by marinades. To speed up marination, use water based, concentrated marinades and leave the meat at room temperature. Piercing the meat with a jaccard will allow the marinade to work from the “inside” as well. It is perfectly fine to use wine in a marinade. The alcohol will dissolve some fat which can speed up penetration. Wine also contains organic acids which can have a tenderizing effect. Phenolic compounds (tannins) will react with meat proteins to form insoluble complexes which in turn makes meat more juicy and tender (even though the exact reason for this is not understood). Experiments have shown that red wine works better than white in marinades. An interesting thing with marinades is that to maximize the water retaining capacity of beef, your marinade should not contain both acids and salt as this will in fact lower the water holding capacity! If you go for acids, you can easily add salt later on. Brining, which is immersing meat in water with about 5% salt, does make sense as the salt helps untangle protein strands. This allows spices to penetrate the meat more easily, and it renders meat juicier. Furthermore it lowers the temperature at which the proteins become “cooked”. Q. Would searing a piece of meat help to “˜seal’ the juices and allow for a more moist cut? No. As Harold McGee pointed out, “searing is not sealing”. The only reason to sear meat is to get the Maillard reaction going. Q. What recommendations would you give to someone that is cooking over wood in a smoker if they wanted to achieve a crisp skin on chicken? In a smoker the low heat will only be enough to evaporate the water, but only very slowly turn the tough collagen into tender gelatin. To achieve this you’ll need a higher temperature, preferably temperatures around 80-90 °C. But even in a smoker there are a couple of things you can do to improve the crispiness. Use a chicken which has been dry-processed. Alternatively, let the chicken dry uncovered in the fridge for a day. Oiling the skin will improve the heat transfer. You can also pierce the skin to let the juices evaporate. Q. Barbecuing is often seen as the art of taking a piece of meat that is tough and/or stringy and producing a tender, mouthwatering meal from it. What is it that occurs that renders a tough cut like brisket into a soft, enjoyable meat? Is there anything that can be done to enhance those efforts? The muscle fibers themselves are tender, but they are held together by connective tissue of which collagen is most abundant. Collagen is tough, but when heated it slowly dissolves and forms gelatin which is very tender. Collagen in young animals dissolves more easily than that of older animals. Collagen starts do dissolve around 70 °C and at 90 °C it dissolves rapidly. But before the temperature get this high enzymes which are present in the meat will help tenderize it. These enzymes lose their activity between 40 and 50 °C, but when you barbecue at low heat the meat will spend quite some time below 40-50 °C. Q. Why do some meats, after reaching optimal tenderness, seem to get even more tender the longer you cook, while others tend to get tougher if you cook past ideal time? Preparing meat is more about temperature than time. If you like your beef medium rare you would aim for the center to be 55 °C. Continued heating will cause more proteins to denature and as the contract, water is expelled leaving the dry and rubbery. Unless you have prepared your meat at a temperature very close to the desired temperature of the center, there will be a temperature gradient. So even if you remove the meat from your heating source when the center reaches the desired temperature, the warmer outside of the meat will continue to cook the center as it rests, bringing it outside your desired temperature range. It takes experience to know exactly when to remove the meat from the heat. Q. What’s happening to the meat during “resting”? Why is this recommended prior to cutting and serving? Apart from the leveling out of the temperature gradient discussed in the previous question it is a very good idea let meat rest before serving, as this improves the water holding capacity of the meat. This in turn reduces the amount of juice you loose when you carve or slice the meat. A recent article (found via Harold McGee’s News for curious cooks) featuring Heston Blumenthal as a co-author emphasizes the huge difference in glutamic acid contents between the flesh and pulp of tomatoes. Glutamic acid and it’s sodium salt (mono sodium glutamate or MSG) are responsible for the characteristic umami taste. On average the flesh contains 1.26 g/kg glutamic acid whereas the pulp on average contains 4.56 g/kg glutamic acid. Similar differences are found for several nucleotides which posess similar taste qualities. These differences can explain the perceived difference in umami taste between the flesh and pulp of tomatoes – and is worthwhile considering when cooking. … ‘Chinese Restaurant Syndrome’ is an anecdote applied to a variety of postprandial illnesses; rigorous and realistic scientific evidence linking the syndrome to MSG could not be found. Following the publication, a critical reply was published by Adrianne Samuels, to which the authors have replied. Anyway, it was in John Emsley’s book that I first read about the record levels of glutamic acid found in parmesan cheese: 12 g/kg! That’s nearly three times the amount found in tomato pulp. In some cheeses there is so much that it crystallises out in small white crystals visible to the naked eye. Think about this when you sprinkle your food with parmesan. And if you ever wondered why Italian food tastes so nice, now you know that MSG is one reason (but of course not the only one …). 5. Learn how to control taste and flavor. When invited over to friends for dinner, even before eating, you judge the food by it’s aroma, handing out compliments such as “It really smells nice”! Thankfully, nature is on the cook’s side, because when we prepare food and heat it, volatile aroma compounds are released which trigger very sensitive receptors in our noses. It is generally said that 80% of “taste” is perceived by our nose (what we refer to as aroma), whereas only 20% is perceived by our tongue. How important smell is becomes clear if you catch a cold – suddenly all food tastes the same. 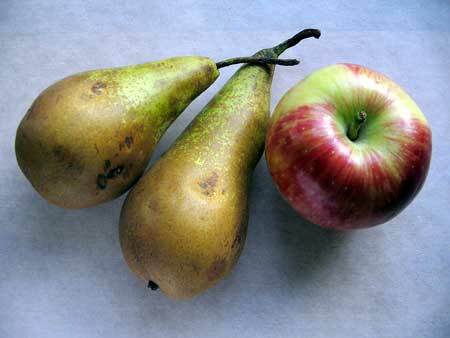 Too illustrate the importance of smell, prepare equally sized pieces of apple and pear. Close your eyes, hold your nose and let a friend give you the pieces without telling which is which. Notice how difficult it is to tell them apart. In fact, with a good nose clip you wouldn’t even be able to tell the difference between an apple and an onion! Then, with a piece of either in your mouth, let go of your nose. Within a second you can tell whether it’s apple or pear! Our tongue has approximately 10.000 taste buds and they are replaced every 1 to 3 weeks. Their sensitivity increases roughly in the following order: sweet < salt < sour < bitter. In addition to the four basic tastes there is umami, the savory, fifth taste. This taste is produced by monosodium glutamate (MSG), disodium 5′-inosine monophosphate (IMP) and disodium 5′-guanosine monophosphate (GMP). Pure MSG doesn’t taste of much, but can enhance the taste of other foods. There are also some claims of a sixth taste. The only general, over-all trend which can be found is that binary tastes enhance each other at low concentrations and suppress each other at higher concentrations (but there are several exceptions!). Do check out “An overview of binary taste–taste interactions” (DOI:10.1016/S0950-3293(02)00110-6) if you’re interested in more details on binary taste interactions. 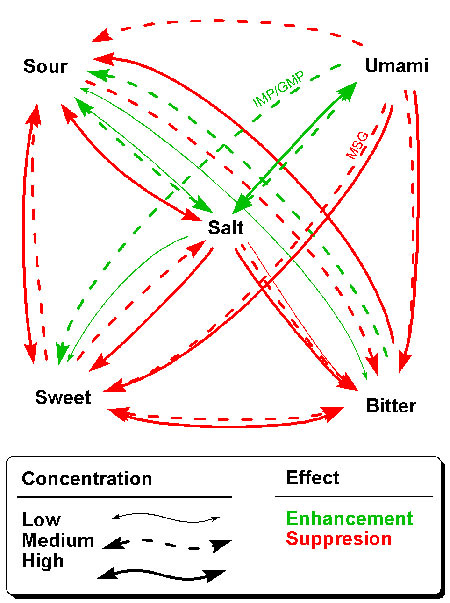 I’ve tried to visualize taste enhancements (green) and suppresions (red) in the following figure using arrows to indicate the direction. For example, salt suppresses sweetnes at high concentrations. In addition to taste, our tongue also percieves texture, temperature and astringency. An interesting thing about the temperature receptors is that they can be triggered not only by temperature, but also by certain foods. The cold receptor is triggered by mint, spearmint, menthol and camphor. There is even a patented compound, monomenthyl succinate, that triggers the cold receptor, but without the taste of menthol. It’s marketed under the name Physcool by the flavour company Mane. Substances such as ethanol and capsaicin trigger the trigeminal nerve, causing a burning sensation. Capsaicin also triggers the high temperature receptors of the tongue, hence the term “hot food” which can refer both to spicy food and food which is very warm. For a general article about taste, check out “Taste Perception: Cracking the Code” (DOI:10.1371/journal.pbio.0020064, free download). Our nose has about 5-10 million receptors capable of detecting volatile compounds. There are about 1000 different smell receptors and they allow us to distinguish more than 10.000 different smells – perhaps as many as 100.000! In order for us to smell something, the molecule needs to enter our nose at a concentration sufficient for us to detect. Aroma compounds are typically small, non-polar molecules. The fact that they are small means they will have low boiling points – they are volatile and spread rapidly throughout a room. They are often referred to as essential oils and are very soluble in fat, oil and alcohol. These aroma compounds generally not soluble in water, but there are also water soluble aroma compounds; just think of a well prepared stock – no fat but lots of taste and aroma! A challenge with aroma molecules is that they should remain intact during storage and not be released until cooking (or even better, until consumption). A example would be to install a Liebieg condenser over your pot. Dylan Stiles has explored this in his column Bench Monkey by placing a bag of ice on top of the lid. He claims that his roommates prefereed the curry which has been cooked under “reflux conditions”. The study was performed in a double blind manner (which I will come back to in part 8 of this series). Because aroma compounds are volatile, spices should be obtained whole and stored in tight containers away from light. If possible, fresh herbs should be used. The flavour of herbs and spices can be extracted by chopping or grinding to increase the surface area. To speed up grinding in a mortar you can add a pinch of salt or sugar. Heat can help extract flavour (just think of how we brew tea or coffee), but will also evaporate volatile compounds, so a general advice would be to add spices at the start and herbs towards the end of the cooking time. Some herbs can even be sprinkeled over the food just before serving. In Southeast Asia (and especially India) it is quite common heat spices in a dry pan or in oil. This matures flavours and allows reactions to occur (possibly Maillard reactions). Coarse spices should be added earlier than finely ground spices. In addition to adding flavour using spices, herbs and other foods, we can also use heat to create new flavours. When sugar is heated, caramel is formed. And if a reducing sugar is heated in the presence of an amino acid, they react and form a host of new flavour compounds in what is known as the Maillard reaction. Caramelisation and the Maillard reaction are known as non-enzymatic browning. Enzymatic browning on the other hand is detrimental to many fruits (such as apples and bananas), but there are a few exceptions. Enzymatic browning is essential in the production of tea (black, green, oolong), coffe, cocoa and vanilla, although this is rarely attempted in kitchen. Another source of flavour is fermentation. It refers to a process were sugar is converted to alcohol and carbon dioxide by the action of a yeast. In the process a number of flavour compounds are formed as well which is why this is of great interest also from a molecular gastronomy viewpoint. Some examples of fermented products include wine, beer, cider and bread. Fermentation also refers to the process where some bacteria produce lactic acid. Some examples of foods resulting from lactic acid fermentation are yoghurt, kimchi and pickled cucumbers. Despite the abundance of combinations, I dare say that little is understood about the science behind these flavour pairings. Why do these combinations of herbs and spices go particularily well together? Is it all about getting used to the combinations, so that we learn to like them? What influence does the complexity of the flavour play? These are easy questions that probably have rather complex answers. Very recently a different approach to flavour pairing has emerged. If two foods share one or more key odorants, chances are that they will go well together. The first step towards finding new pairings would be to identify key odorants. More info on key odorants can be found in the article “Evaluation of the Key Odorants of Foods by Dilution Experiments, Aroma Models and Omission” (DOI: 10.1093/chemse/26.5.533, free download). I’ve initiated the food blogging event “They go really well together” (TGRWT) to explore new flavour pairings and develop new recipes. There are also several blogposts with interesting comments on about flavour pairing.